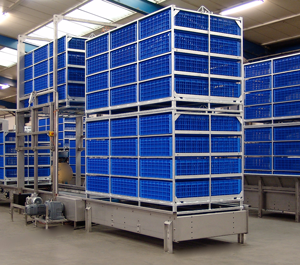 VRE Systems produces cage modules for the poultry processing industry. These modules are ruggedly designed and built to exacting tolerances for use in automated processing plants. Most recently, the modules were designed for use with Anglia Systems products.